Vanity Fair just released its 2017 International Best Dressed List Wednesday, and a number of famous faces made the cut. The exclusive list, divided into different categories, features notable names like Rihanna and Michelle and Barack Obama. Rihanna was praised for the Monse tweed dress she wore while accepting the 2017 Harvard Humanitarian of the Year award. 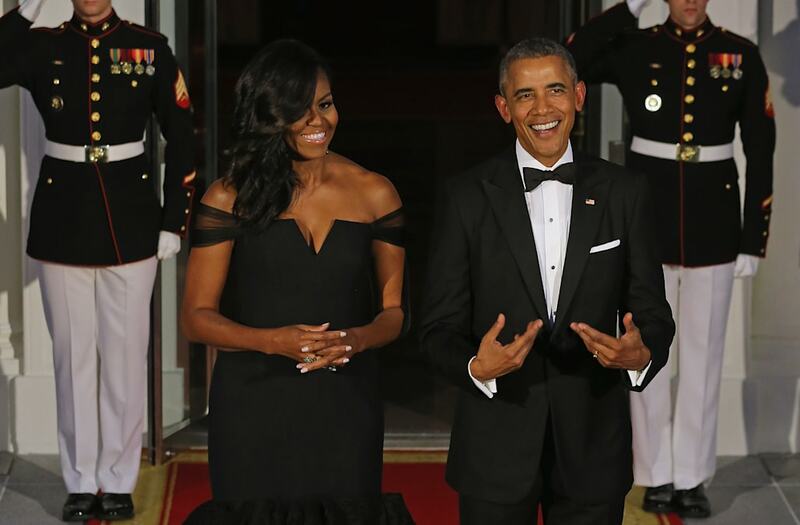 The magazine also honored the Obamas in its couples category, singling out their best looks of 2017 -- a white Club Monaco top and custom BCBG olive-green pants for Michelle and a blue shirt, navy trousers and desert boots for Barack. The couples category also honored a number of international political figures and their spouses, like French president Emmanuel Macron and his wife Brigitte. Hollywood A-listers also snagged spots on the coveted list -- actresses Cate Blanchett, Zoë Kravitz and Ruth Negga made the cut, as did Donald Glover and Dev Patel. Surprisingly, Duchess Kate didn't appear on the list this time around, but another member of the British royal family did -- Lady Amelia Windsor. The 22-year-old model has been dubbed the "most beautiful member of the royal family" and has walked the runway for some notable designers like Dolce & Gabbana. Likewise, Melania Trump was also not honored despite stepping out in some notable looks this year, making a case for herself as one of the most fashionable first ladies in history. Check out the slideshows above to see this year's honorees.